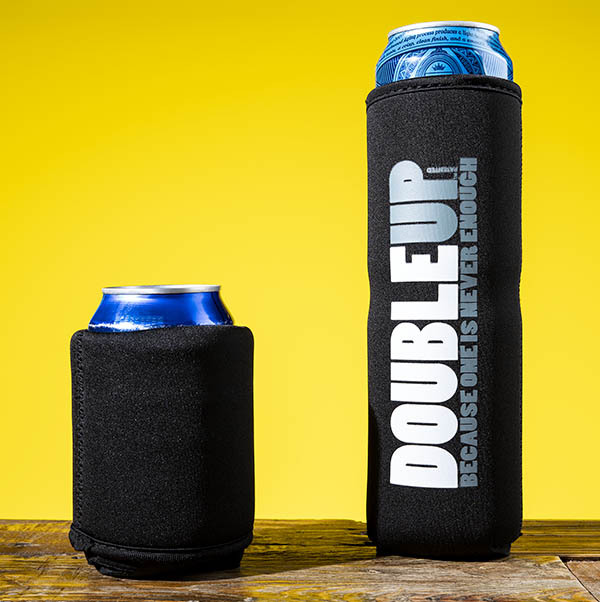 DoubleUp Can Cooler: An extra-long drink holder that fits two cans. Necessity is truly the mother of invention, and all partygoers see the necessity of carrying two beers with one hand while keeping both brews cold. Thankfully, the DoubleUp Can Cooler was invented specifically to fill this need. Measuring nearly twice as tall as a traditional koozie, this neoprene sleeve can keep two cans cold for hours. Once you’re done with your first drink, fold the sleeve down to make a single koozie around the remaining can. It’s a welcome timesaver at events with long drink lines and a fun convenience everywhere else. The DoubleUp Can Cooler could just reinvent the way you party.